When you’re the owner or senior leader of a growing business, one of the hallmarks of growth is the need to elevate managers to help oversee your operations. I think we tend to underestimate the difficulty of this step. Managers change the blueprint of your company instantly and irrevocably, and yet so often a selection and training process is overlooked. What should leadership development program look like and how can you implement this amidst the chaos of rapid growth? In a perfect world, you will have anticipated your growth and will have these plans in place well before you need them. But we all know that things rarely go according to plan. All too often, it looks more like this: You experience a dramatic increase in business and revenue. At first it’s fantastic, and you’re excited (and relieved) that all your hard work looks like it’s paying off. All the fear and anxiety you’ve had about whether this business is really viable, and/or if you’ve got what it takes, is alleviated and it’s a wonderful feeling. Before long, though, you start understanding the term ‘growing pains’ in a whole new way. You just aren’t able to keep track of things by yourself. There have always been facets of your job that you know aren’t your strengths (maybe it’s administrative, maybe it’s managing day-to-day tasks, maybe it’s dealing with angry customers) but before you were able to stay on top of things. Now, the sheer volume of things to do means you’re spending a much greater amount of time doing things you don’t like, and aren’t that good at. You start dropping balls, and realize that you can’t keep going this way and maintain the service and quality that led to your growth in the first place. So you hire or promote managers. If you’re like most owners, you may assume that your managers are on the same page as you regarding their role, and how to perform it, and what’s really important in your company. This is your first mistake. The second most common mistake is to underestimate the importance of a strong proficiency in management and business basics. Not to put too fine a point on it, but this can make or break your culture and ultimately your business. As a management and leadership consultant, I am frequently called in after the problems have started, and each and every time prevention would have been much easier and more cost effective than problem-solving. This is accomplished by a leadership development program that allows you to select and train your managers to ensure you are putting the best people in the roles, and providing them the support necessary to gain proficiency in the foundational skills. The foundational areas are: Basic legal compliance, employee relations (leadership), and performance management. Before you can begin training your managers in these areas, you first have to determine who should be in these roles. Some foundational skills are rather easily trained, and some take longer and are more challenging. Here are the skills to look for and/or train in order of difficulty, from MOST to LEAST difficult (approximately). Ability to inspire and lead others by casting a vision of the bigger picture and articulating each person’s contribution to the whole. High emotional intelligence, with the ability to manage perceptions, exhibit self-control, and communicate consistently, respectfully, and optimistically in times of intense pressure. Must be able to represent your company professionally and courteously to employees, stakeholders, and vendors, regardless of the circumstances. Strong communication skills, with the ability to convey complex and abstract ideas clearly and concisely in a written and verbal format, to a variety of audiences. Thorough understanding of your product and service, with the ability to train and coach every aspect of the operational role. Proven ability to identify and utilize performance metrics to help individuals perform to their highest and best level. Ability to address and resolve performance issues while reinforcing each employee’s intrinsic value and value to the team. Understanding of business basics, such as profit and loss statements, revenue drivers, and profitability drivers. An understanding of protected classes, basic employment law (FLSA status, wage and hour laws, ADA, and HIPAA protections). Legal and effective coaching skills and the ability to dress behavioral problems in the workplace. Legal and effective interviewing skills. 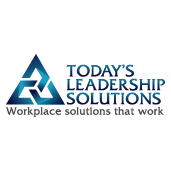 A good leadership selection protocol will identify these areas behaviorally and allow you to score applicants as objectively as possible to ensure you are being fair and consistent in selecting your future leaders. You need to take into account the urgent needs of your business while considering the long-term implications of selecting a candidate lacking an important, hard-to-train skill. Regardless of the experience and skillset of your manager-to-be, it’s important to train them in the basics before fully endorsing them as managers. There’s a legal benefit to conducting and documenting training. Not only that, a basic tenant of management is to treat each employee the same. Bypassing training on a ‘highly qualified’ candidate sets the tone right out of the gate that they’re above common protocol. When conducting your leadership training, I think the best approach is a combination of low-hanging fruit, and impact to operations. Therefore, I recommend a quick and thorough review of legal compliance. First, because it’s easy to create standardized training – whether it’s an orientation webinar, or pre-recorded training of some sort. This is a great preventative measure right out the gate. The business and performance management piece also lends itself well to group or virtual training. The specifics of your business are unique, but profit and loss concepts are universal, as are the fundamentals of performance management. You can often standardize quite a bit of this training, and have individualized training as a second or third step. Last is the vision, communication, and emotional intelligence quotient of the job. Hopefully you haven’t hired anyone for a significant leadership position who is lacking emotional intelligence or communication skills, but it’s not uncommon to need to work on these skills when promoting from within. If you’re promoting your top performing individual contributors, there may be a great deal of leadership training and coaching you need to invest in. Ideally, this will be done as part of a succession plan, and not on-the-job. Similarly, the tribal and product knowledge specific to your company will not be present in candidates from outside your company. You’ll need to decide how important this is. It can be a deal-breaker for some companies, and simple enough to overcome in others. To wrap it up, you’re doing yourself, your managers, your employees, and your company a huge disservice if you neglect to create a management selection and training process. True, you can hire and promote managers without it, but dollars to doughnuts you’ll spend a lot more time putting out fires if you go that route. If you enjoyed this, please share the love…and sign up for a freebie…Quick tips for legal and effective interviewing…right here! Come hang out with us on Facebook and Twitter.